Getting a steel garage door for your residence in the Knoxville area doesn’t mean that you have to sacrifice on aesthetics. 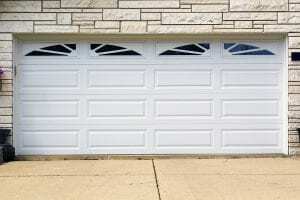 In fact, at 31-W Insulation, we install steel garage doors for our customers that are entirely custom made. Your entire door can be customized, and you can choose the colors, woodgrain finishes, decorative hardware options, window pane options that suit your aesthetic needs. A wide variety of door styles are also available, so you can have a door that complements your home’s architecture. The steel garage doors you’ll find at 31-W Insulation are also of the highest quality and built to last for years and years. Engineered by the leading manufacturer Amarr®, these doors won’t become blown in by high winds, and their steel material will resist damage from any airborne debris. Your door will also require virtually no maintenance beyond simple cleaning. Durability and easy maintenance aren’t the only benefits these doors provide. With three different insulation options available, your steel garage door can help contribute to keeping your garage a stable temperature. This is particularly helpful if you use your garage as a recreational space, living space, or a workshop. And the steel garage doors we offer come standard with SafeGuard pinch protection and flush mount hinges to keep your hands safe. They also have tamper resistant brackets, which will help keep the inner mechanism of the door safe while it’s in operation. Our team will guide you through the entire process and ensure you receive nothing less than the excellent customer service. This includes meeting with you at your Knoxville area home for a design consultation to help you customize your garage doors. We’ll also provide expert installation, which will be carried out by our trained professionals, not subcontractors. For your peace of mind, any garage door we install will be backed by a generous manufacturer’s warranty. If it’s time to replace your old garage door, choose one of the steel garage doors from 31-W Insulation. Contact us today to schedule a design consultation at your Knoxville area home.